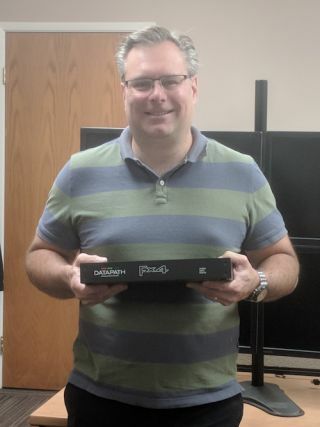 Datapath has expanded their distribution footprint in Canada following a partnership agreement with Thorvin Electronics. Based in Ontario, Thorvin has provided AV and IT solutions in the region for 44 years. With strong roots in Education AV, Thorvin now provide solutions across a full range of AV verticals from healthcare sectors to corporate. The deal includes Datapath’s full product line, from the standalone iolite 600 controller to the latest 11-slot VSN chassis as well as Quant collaboration software and, of course, capture cards. "We're delighted to add Datapath to our offering as their product range fits perfectly with Thorvin's brand portfolio,” said Jean-Marc Langevin, sales manager at Thorvin. “They bring an added element to video control and management that will be welcomed by our integrators and end users alike. Their kit has a superb reputation in the industry for its function and reliability and we look forward to a long and prosperous working relationship."